A resident in the Scottish Borders was contacted by a male claiming to be from Nationwide over the weekend, he stated there had been fraudulent activity on their account and that they needed to transfer money into a different account to prevent further fraudulent activity. If you do think that the call may be authentic and you choose to call your bank or card issuer, call the number on your bank statement or other document from your bank – or on the back of your card, and NOT a number given to you by the caller or the one you were called from. Consider making your phone number ex-directory or try one of the call monitoring systems such as Truecall. 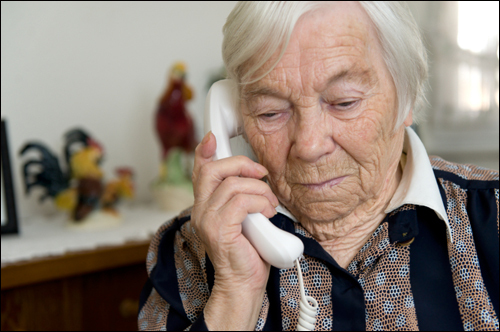 These fraudulent telephone calls are all too common and unfortunately elderly residents in our communities tend to be targeted. Please consider passing this advice onto any friends or family who may not personally receive this advice.